A country where centuries-old towns collide with blissful seascapes, beech-shaded forests, turquoise glacial lakes and majestic snow-dipped alpine scenery can only stay secret so long. Welcome to Slovenia, the newest addition to your European travel bucket list. With Central Europe’s hip coastal hot-spot Croatia hanging underneath and drawing travellers to its beaches, Slovenia’s still coming into its own. As the medieval streets of Piran or Ljubljana and the hiking trails continue to fill, there’s no better time than now to zip over to the country that truly encapsulates everything that makes Central Europe the continent’s most compelling escape. Do I need travel insurance for Slovenia? For its size, Slovenia is surprisingly diverse in its climate. Overall, you might say that Slovenia sports a typical continental European climate with four distinct seasons. But that’s not quite enough to give you an exact of idea of when to visit Slovenia. This small Central European country has three main climatic zones. In the alpine areas, winters are cold and unpredictable. The coast is a little more pleasant, offering a warmer more Mediterranean climate that avoids the deep chills of the country’s more northernly areas. Overall, the best time to visit to Slovenia is May or September. Both of these months fall in the country’s shoulder season. The crowds during these months are much less dense than in the height of the summer tourism high season. The weather is still pleasant though, and you’ll get plenty of warm days and sunny skies on average. Like any destination, I would never recommend visiting Slovenia without purchasing a good travel insurance policy. Actually for Slovenia, it might not be an option for some travellers. As with all 26 countries in the Schengen area, if you require a tourist visa for Slovenia you’ll need to show proof of travel insurance with at least €30,000 in medical coverage including repatriation. Even if you don’t need to apply for a Schengen visa, it’s a great idea to take out a travel insurance policy with good medical coverage. The quality of medical care in Europe is high, but so are the costs. Should you have an accident and require hospitalization or surgery, the small cost of a travel insurance policy will more than pay for itself. 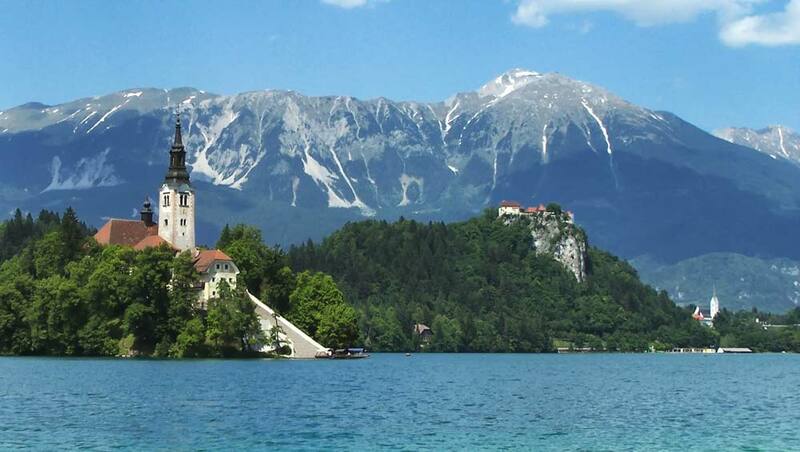 Need travel insurance for your Slovenia itinerary? Travel insurance from WorldNomads.com is available to people from 140 countries. It’s designed for adventurous travellers with cover for overseas medical, evacuation, baggage and a range of adventure sports and activities. Unlike other providers, you can even purchase a policy while you’re already on the road! Get an instant no-obligation quote by clicking here. You won’t have much of a problem staying connected in Slovenia. In the major tourist centres, free WiFi is available at restaurants, cafés, and hotels. 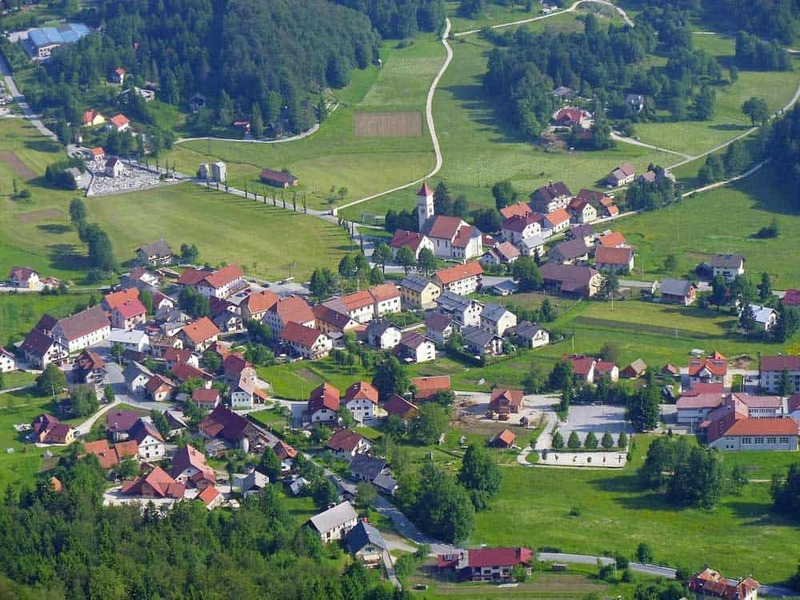 Even better (and safer) than relying on public WiFi is to rent a 4G WiFi hotspot for Slovenia. The rental includes unlimited 4G data within Slovenia (and in whatever countries you decide to throw into your Europe itinerary). Even if you decide to connect through your own WiFi hotspot and your own device instead of public networks, your data could be at risk. That’s why it’s always a good idea to connect through a virtual private network (VPN) whether on road or at home. For travellers, there’s hardly a better provider than NordVPN. NordVPN lets you connect through one of its over 5,000 servers worldwide. It protects all of your more sensitive data using military-grade double-encryption technology. On top of that, NordVPN doesn’t keep server logs, meaning your browsing history is never stored at the server level. Save BIG and surf safer in Slovenia (and wherever you go) with one of the latest multi-year deals at NordVPN. Guidebooks: As much I rely on technology these days, I rarely travel without print guidebooks as a backup. Lonely Planet Slovenia offers one of the most comprehensive and up-to-date travel guides for the country. 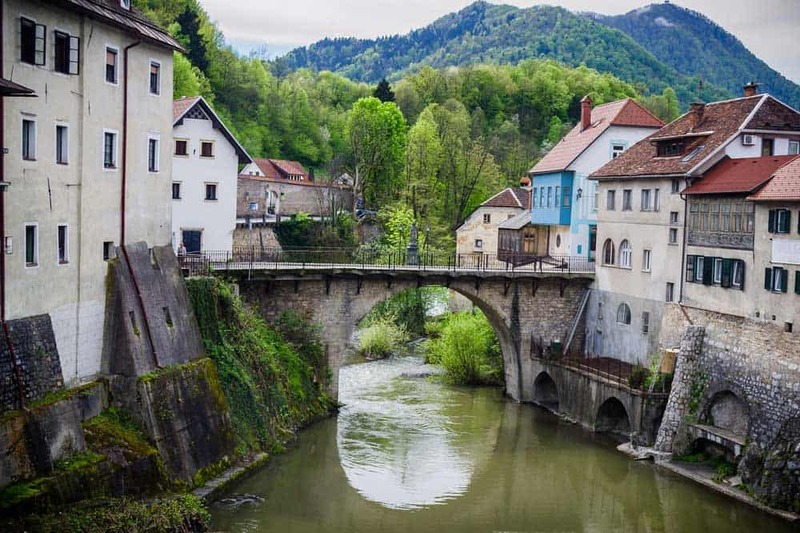 Phrasebooks: Although there’s not as much of a language barrier in Slovenia as in some other Central European countries, the Lonely Planet Central Europe Phrasebook & Dictionary includes a chapter on Slovene to help you connect deeper with locals. Language learning resources: If you want to dive deeper into the Slovene language before your trip, check out Routledge Colloquial Slovene, one of the only English-language Slovene courses still available in-print. Whether you’re a light adventure traveller, beach bum or an urban explorer, there are a ton of things to do in Slovenia. The biggest challenge is fitting it all in. If you only have 10 days in Slovenia, you’ll have to resign to carving out a tighter plan for your Slovenia itinerary. Even in a country as compact as Slovenia, you don’t want to spend all of your precious vacation days in transit! Renting a car resolves some of the issues. Driving in Slovenia tends to be far quicker to get between point A to point B than relying solely on public transit. This is especially true for more rural destinations like Predjama Castle where public transportation is less frequent, slower or less convenient. Booking local sightseeing tours to pack more sights into your day is another option to consider for making more efficient use of your time. Nearly every visit to Slovenia begins with a stay in Ljubljana. Slovenia’s tiny capital is not only one of Europe’s most compact, but one of its most mesmerizing. Even if you can’t wrap your vocal chords around the tongue-twisting name, Ljubljana’s bound to become one of your favourite European cities even if you can only dedicate a few days to it. It’s also the perfect destination to base yourself for epic Ljubljana day trips. In a small country like Slovenia, getting from place to place is easy. If you’re super-tight on time and don’t want to pack your bags so often, I’d recommend sticking around longer in Ljubljana (otherwise check out this itinerary for one day in Ljubljana). Four days seems to be a good compromise, allowing for two full days of exploring Ljubljana and two days for day trips elsewhere in Slovenia. Planning out things to do in Ljubljana hardly involves much guesswork. Most attractions lie within tightly-packed central Ljubljana, especially in and around Old Town. You can reach just about everything you’d want to see in Ljubljana by foot. Ljubljana’s life emanates from its Old Town, a smattering of medieval streets studded with graceful architecture. With Triple Bridge and Prešeren Square as your anchor, dig into the Old Town by crossing east over the Ljubljanica into the old quarter. There’s a host of excellent cafés and restaurants perched along the Ljubljanica. Stop in for a quick bite or a coffee to fuel up for the day ahead. 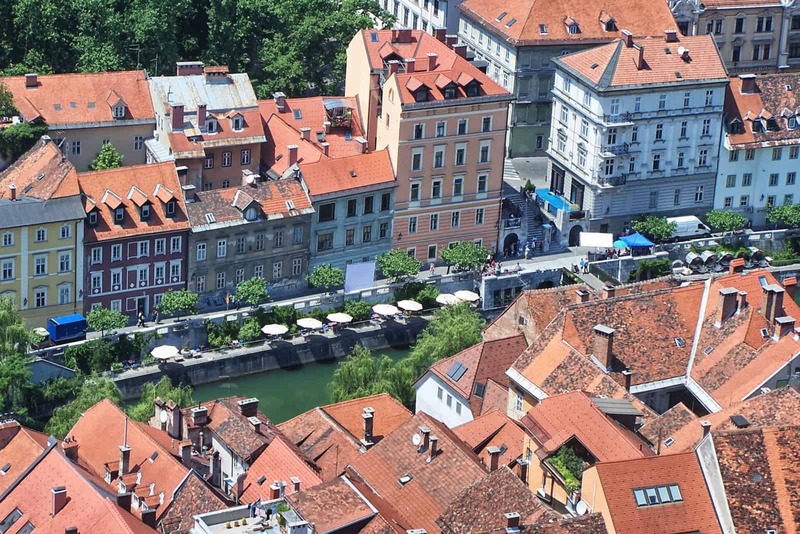 What better way to experience Ljubljana than from above? Trek up (or take the funicular) to Ljubljana Castle, the city’s most famous landmark. The castle grounds are shrouded in sheer beauty, and are a wonderful way to spend some time unwinding. Rehydrate with a sip of wine or beer in the courtyard before stealing some incredible views over the medieval centre from the castle ramparts or Outlook Tower. Ljubljana Cathedral is also worth a detour when touring Old Town. As beautiful as the quintessentially-Central European church towers and domes are, the biggest drawcards of Ljubljana Cathedral are inside, not out. Enter through the sculpted bronze doors to marvel at the incredible 18th-century Baroque frescoes and marvel at the gilded details. Choosing just one contender from all the possible day trips from Ljubljana seems an impossible task. 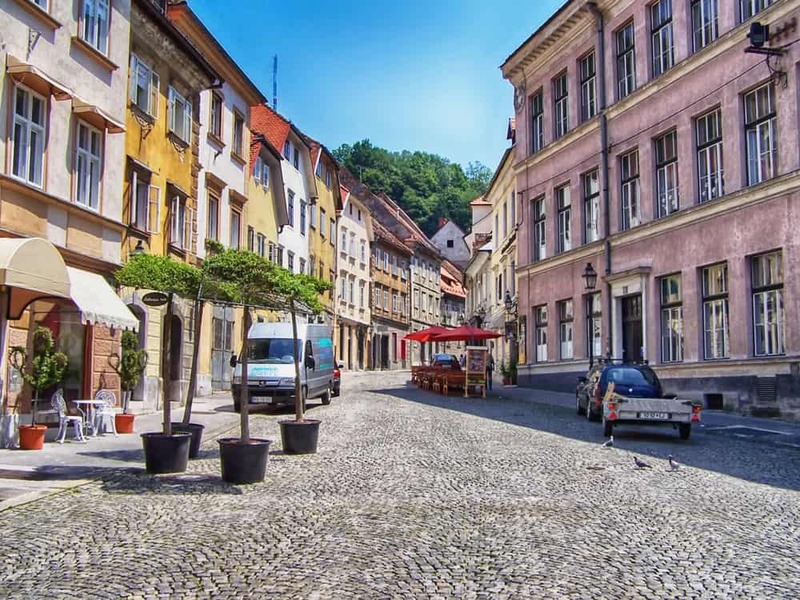 One of the easiest is a quick half-day out to the beautiful medieval town of Škofja Loka. 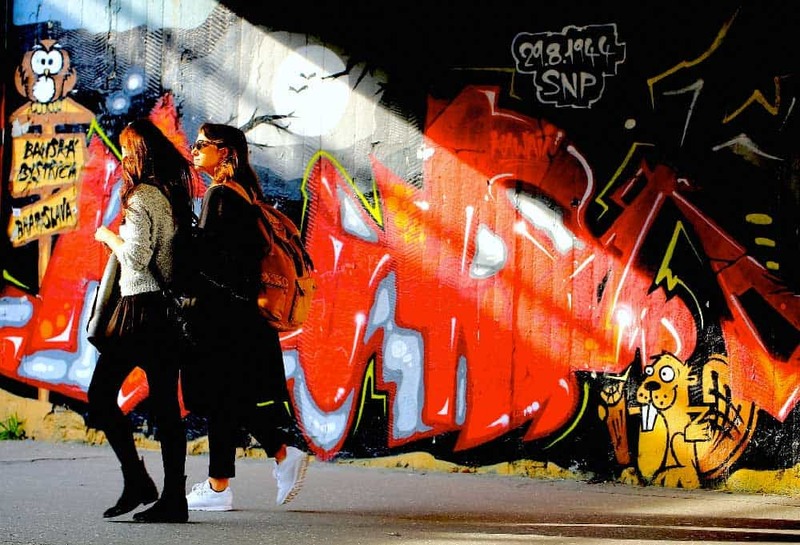 Experiencing Škofja Loka is as easy as simply allowing yourself to become lost in the ageless streets. Besides slogging up to Škofja Loka Castle and its Loka Museum, keep on the lookout for Capuchin Bridge north of the old town to snap that classic postcard of Škofja Loka. One of the best sites in the whole country to uncover Slovenia’s past is in Velika Planina outside of the town of Kamnik. For its Old Town and two castle ruins (Mali Grad and Stari Grad), the town of Kamnik is itself worthy of a day trip. 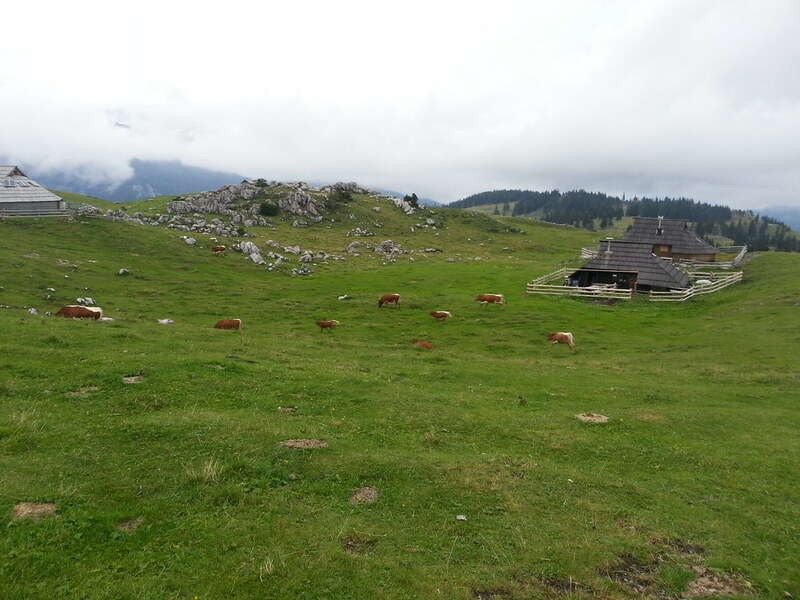 Throw in a visit to Velika Planina and you’ll soon declare the day a huge winner. When in Velika Planina, don’t miss the “herdsmen’s settlement.” This small village, characterized by its traditional pine-shingled huts, swings back into action every summer starting in June. Resembling something you’d sooner uncover in a fairytale than in a modern European country, Velika Planina’s delightfully quirky village is bound to spellbind you. Feeling extra adventurous? Gulp down a traditional herder’s meal of sour milk and corn. TIP: Although its possible to power through your day trip by public transportation and walking, renting a car or joining an organized tour like the Kamnik and Velika Planina Small-Group Tour is the easiest way to make the most your day. The quality of accommodations in Ljubljana is generally good and always improving. With the city’s recent burst of popularity, trying to grab a reservation at one of the best places to stay in Ljubljana during high season often presents a challenge. Book early to avoid wrecking your travel plans! Bed & Breakfast Atticus: A budget bed & breakfast in the shadow of Ljubljana Castle. Clean and comfortable rooms are available with a shared or private bathroom. A tasty breakfast is included. City Hotel Ljubljana: A comfortable and modern mid-range hotel in the heart of the city. Located within close walking distance of most of the major sights in Ljubljana’s Old Town. Vander Urbani Resort: One of Ljubljana’s top luxury design hotels. City centre location is perfect for exploring Old Town to the fullest. The rooftop terrace pool is a brilliant touch. By air: Several airlines serve Ljubljana Jože Pučnik Airport (LJU) from the United Kingdom, United States, and Canada including Adria Airways, Slovenia’s flagship carrier. 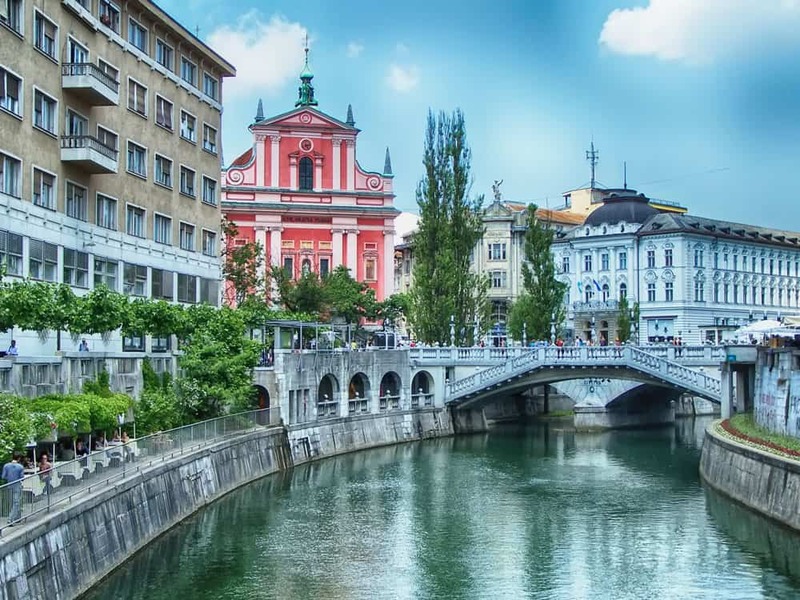 If you’re looking to save money, easyJet flies to Ljubljana from London (Stansted) and London (Gatwick). Looking for cheap flights to Ljubljana? I’d recommend searching for cheap flights on Skyscanner. For international departures to Europe, there’s hardly a better place to find cheap fares! By bus: There are regular buses to Ljubljana from Zagreb (2h15m), Venice (3h29m) and Vienna (5h47m). By train: From elsewhere in Central Europe, there are several trains to Ljubljana including Zagreb (2h18m), Vienna (6h4m), Salzburg, (5h8m), and Bratislava (7h31m). Everyone knows about Croatia’s famous Adriatic coastline; fewer realize that Slovenia rocks out its own little blissful Istrian riviera wedged between the Croatian and Italian coasts. The most famous—or at least prettiest—Slovenian resort town is Piran. If you’re craving fun in the sun after a little sightseeing in the deep alpine woods or cities of Slovenia, Piran’s the best answer. The overwhelmingly picturesque Piran isn’t as jam-packed with activities as other Slovenian destinations. Discover this Mediterranean gem at a relaxed pace to truly appreciate what it has to offer. Not that there aren’t plenty of things to do in Piran. But expect your days to be filled less with an over-stuffed itinerary than with small memorable moments like enjoying a seaside coffee, downing succulently-fresh seafood, and sucking in the seabreeze sliding off the Adriatic. Besides wandering aimlessly throughout Piran’s Old Town, no better experience awaits in Piran than finding your way up the old city walls for a view over the town. 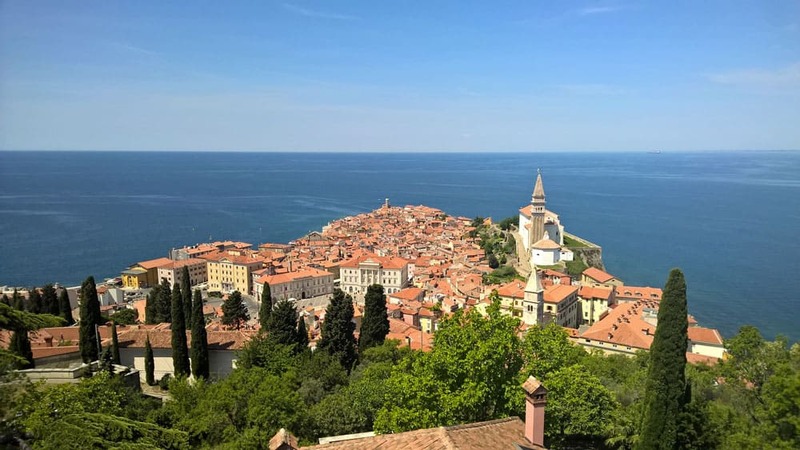 Piran—not unlike more famous destinations like Zadar, Split and Dubrovnik in Croatia—features stunning Venetian architecture impressive enough to trick you into thinking you’re in Italy. At the height of tourist season, scaling along the city walls will also give you a much needed break from the thick crowds of central Piran. Want to get the most out of your visit to Old Town? 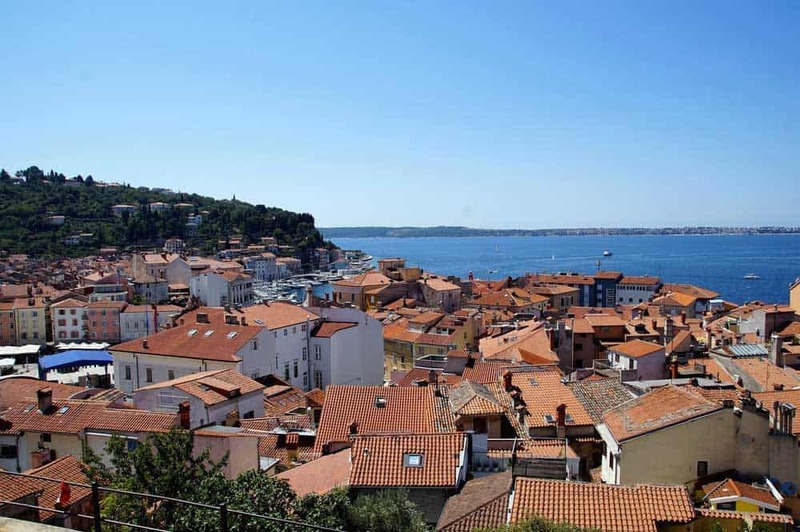 Hop onto a Piran Walking Tour to get the low down on the Istrian city’s storied past! If you love seafood, there’s no better place in Slovenia to stuff yourself than in Piran. Break through to the edge of the peninsula where Old Town pokes into the Adriatic and you’ll find Prešernovo nabrežje, a coast-hugging street that hosts a wealth of Piran’s best restaurants. Spending 3 days in Piran provides a chance to grab a day trip or two. 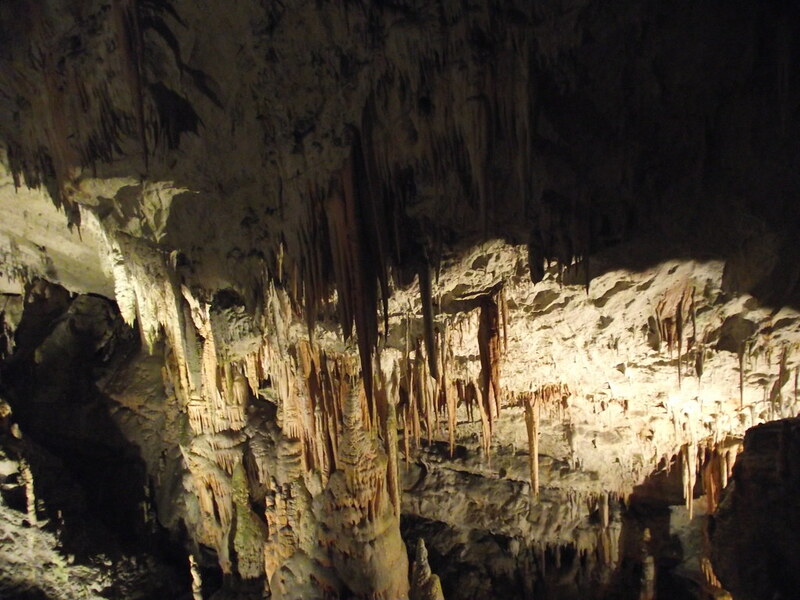 Of all the Piran day trips, the two most unique might be Škojcan Caves and Postojna Cave. Although you could also visit both as a day trip from Ljubljana, attacking them from Piran will save you a little time. To see both Škojcan Caves and Postojna Cave without wasting your entire day, you’ll probably need to rent a car. Throw the impressive Predjama Castle into the mix, and you’ll have one amazing of day out from Piran! There’s a good selection of accommodations in Piran. At the height of tourist season, things get busy in the seaside town. You’ll often need to book several months ahead to snag the best deals and secure a room in the best hotels in Piran. Val Hostel Piran: An excellent option for travellers on budget situated near the seaside promenade. Offers mostly private rooms with shared bathrooms. The terrace at the on-site bar springs stunning views of Piran. Hotel Piran: A spectacular seafront hotel in the historic centre of Piran. All rooms feature incredible views of the Adriatic Sea or Old Town. The rooftop bar and on-site spa, including a sauna, are great for end-of-the-day relaxation. Second Life in Piran: An airy holiday home rental in Old Town. The property’s three bedrooms sleep up to 6 people. Features a full-serviced kitchen and a terrace with incredible views of Piran. By bus: The bus from Ljubljana to Piran costs €12 and takes between 2 and 2.5 hours, depending on traffic. By train: There’s no train station in Piran. The closest train service is to Koper, 30 minutes away. Unless you’re planning a stopover in Koper, you’re better off to take the bus. As much as you’ll love visiting Ljubljana, it’s hard to leave Slovenia without a trip to Bled tugging at your heart strings. You can sort through hundreds of reasons to visit Bled. But you need only one to pull the trigger: Experiencing the transcendent beauty of Lake Bled for yourself. Bled is one of the most amazing outdoor destinations in Europe, and offers some of the best landscapes you’ll find anywhere on the planet. 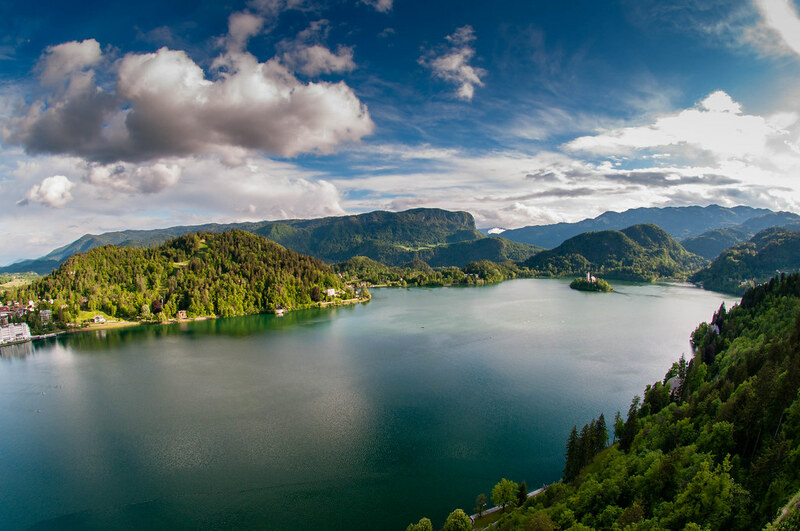 Digging into all the things to do in Bled begins and ends with what you’ll find outdoors. Slovenia’s done a superb job of making the Bled area a top adventure destination. The bustling tourism centre of Bled acts as the perfect base to explore an area whose crystalline lakes and snow-kissed alpine scenery will no doubt stick with you for a lifetime. After arriving in Bled, the easiest activity for beginners is to grab a view of the turquoise waters of Lake Bled from every possible angle. The 2-kilometre walk around the lake is the perfect place to start. The walk is an easy one, sliding along over flat terrain. 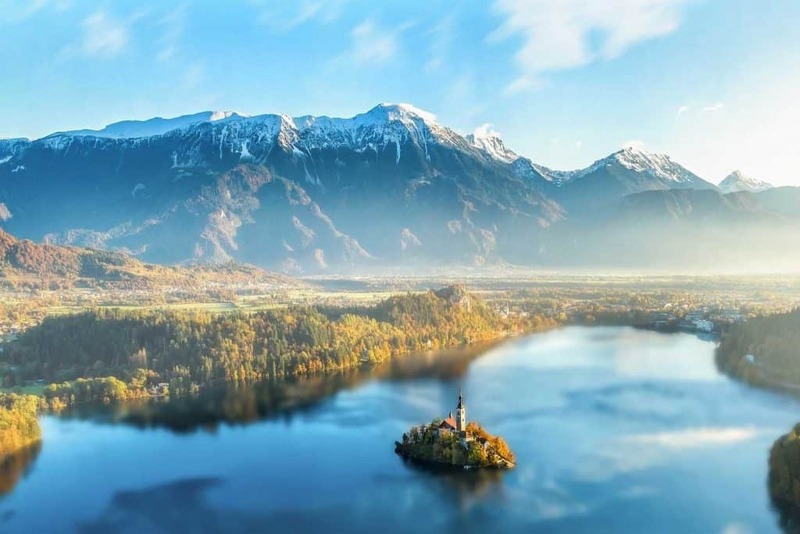 The best views are from the lake’s southern and eastern shores where the towering Julien Alps spill into the panorama, accented by Bled Island and Bled Castle. The views over Lake Bled from Bled Castle are among the best you’ll find anywhere in Europe. Getting up there isn’t always easy. But burn out those calf muscles to reveal a sweeping panorama over Lake Bled that will knock your socks off. After soaking in some views, stop at the Bled Castle wine cellar to cork your own bottle of souvenir Slovenian wine with the resident monk sommelier. 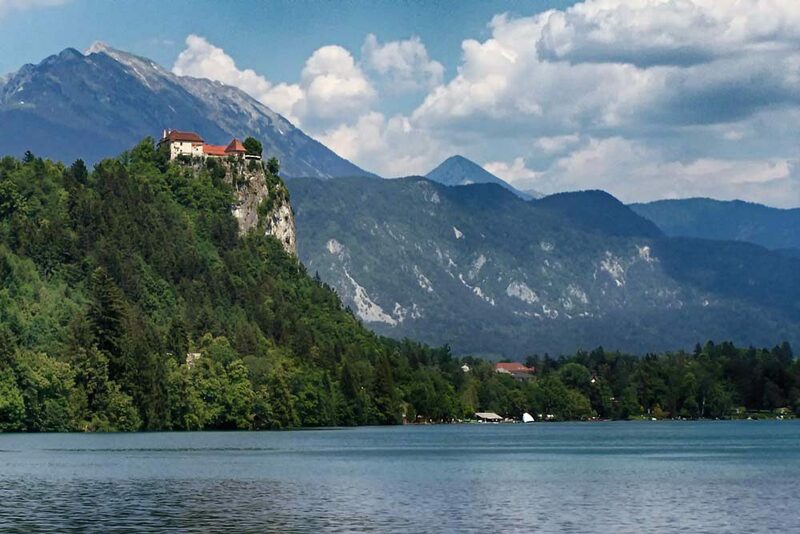 Want to visit Bled Castle without hassle? Book yourself on a Bled Castle and Vintgar Gorge Half-Day Trip! The trip includes pick-up in Bled and return transportation to both the castle and gorge. Extending your stay in Bled opens up an array of day tripping opportunities. A mere one-hour walk (or 10-minute drive) will get you to Vintgar Gorge, one of Slovenia’s best outdoor destinations. Trek your way through the 1.6-kilometre Vintgar Gorge along wooden bridges and paths that hover above the Radovna River. Will to go a little further afoot? Slovenia’s second most famous lake, Lake Bohinj, lies on the fringes of Triglav National Park just 40 minutes from Bled. A round-the-lake walk clocks in at 12 kilometres, requiring a little more gusto than the comparably zippy walk around Lake Bled. Unlike Lake Bled, motorized boats are allowed on Lake Bohinj. 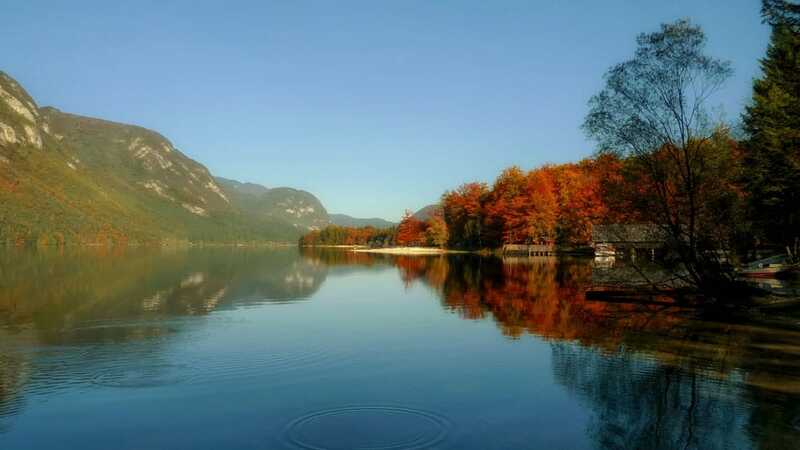 Snag your chance to see the lake up close aboard the Bohinj and Zlatorog, the lake’s two sightseeing boats that depart from the lakeside town of Ribčev Laz. Craving a little nature during your stay in Bled? Hop onto the full-day Triglav National Park Tour! 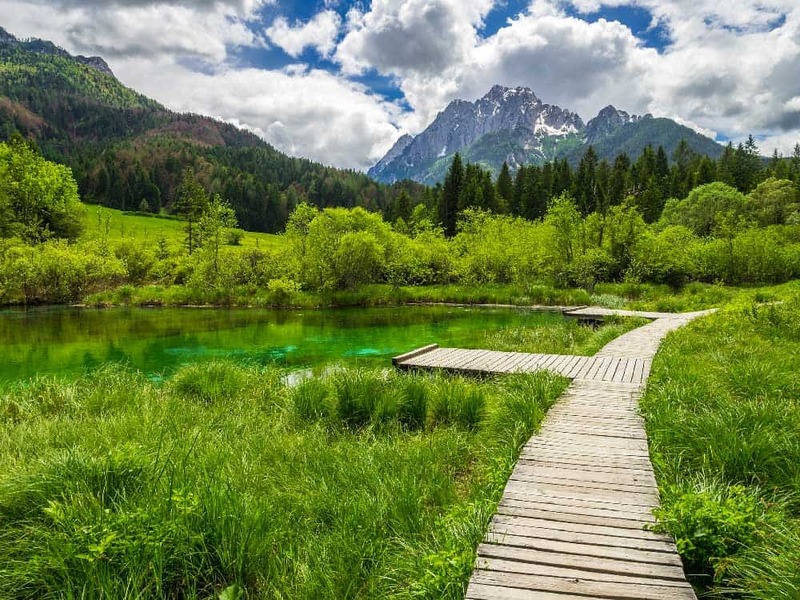 The tour includes checking out many of Slovenia’s best natural attractions including Lake Bohinj, Pokljuka plateau, Vintgar Gorge, Alpine Radovna Valley, and Mojstrana. If there was ever any doubt about Lake Bled’s popularity, simply take a look at the sheer number of hotels & places to stay in Bled. Like all of the best places to visit in Slovenia, Bled books up quickly requiring a little pre-planning to score a good room. Unless you have a car, try to stay close to town so that you’re within close walking distance of the best Bled attractions and restaurants. Penzion Kaps: A budget pension with loads of traditional Slovenian style. The owner, Peter, takes great pride in ensuring your stay in Bled is wonderful. Property is a short 3-minute walk to the lake. Penzion Vila Prešeren: A 19th-century villa set upon the shores of Lake Bled. Even if you don’t splurge for the one-bedroom apartment with a balcony, the ground-floor terrace serves up fantastic views over Lake Bled to Bled Island and its famous church. Villa Istra: A stunning luxury lakeside villa that looks more like a mini-castle than a hotel. The views from the balconies of the higher-end penthouses and suites overlooking Lake Bled are among the finest in town. By bus: The most convenient way to get to Bled is by bus. From most destinations in Slovenia, you’ll need to backtrack to Ljubljana to find your way to Bled. Buses from Ljubljana leave roughly hourly and take approximately 1 hour and 20 minutes (or less). A one-way ticket from Ljubljana will set you back about €7. By train: There are two train stations around Bled: Lesce and Jezero Bled. Neither station is convenient for most travellers as they are located several kilometres away from town. Trains from Ljubljana stop in Lesce while Jezero Bled serves trains from Jezenice. If you simply must take the train, save cash for a taxi or a bus into town. Want to dig deeper into the outdoors? Stay longer in Bled, overnight at Lake Bohinj or add Bovec to your itinerary. Whether on the western or eastern edges of Triglav National Park, you’ll be in touch with the spectacular Slovenian outdoors. Need some more fun in the sun? Hang out longer on the Istrian Coast. Choose to extend your stay in Piran or try spending time in the tourist-resort retreats of Portorož or Izola. A self-proclaimed oenophile? Carve out a day in Ptuj, an ancient town in the heart of Slovenia’s best-known wine-growing region. The Ptuj Wine Cellar is the oldest in the country and offers up some of the country’s best white wines. Croatia: Explore more of the former Yugoslavia with a short jaunt down to Croatia. Follow along with this Croatia itinerary to get the most out of your trip. Austria: From Slovenia it’s a short train ride north into Austria. Start your Austria itinerary off in Graz or Salzburg, the two closest major Austrian cities to the border. Italy: On Slovenia’s Istrian Coast you’re literally steps away from Italy. Continue on from Slovenia to Venice to launch an Italy itinerary in grand style!